If you have just found out about your twin pregnancy, or if you already have twins, this site was created especially for you. We have been the web's trusted resource for over a decade! It's time to get ready for an extraordinary ride...From birth to parenting, there is so much to learn and enjoy about twins. Twin birth has become more and more common these days due to many factors. Nonetheless, it's a very unique experience. Parents and families in this situation, along with the ones who already have twin children want good information and advice pertaining to their special circumstances and challenges. This site was the very first of its kind. 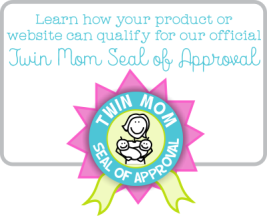 It was lovingly founded by a mother of twins in 2007 on the basis of offering the best and most up-to-date "twin specific" information and support on all aspects of twins - from finding out about your twin pregnancy, through twin birth, raising twins and beyond. And, all this great stuff on a site that's down-to-earth, easy to navigate, family friendly, totally free and open to all! You won't need to search endlessly around the web to find bits and pieces on this unique subject. Twin Pregnancy And Beyond™ has it all in one place with the added benefit of frequent updates, intriguing topics and visitor interaction. Because of all the wonderful contributions from twin parents around the world, it's truly grown into a community, as well as the most comprehensive free resource on the web. You will find inspiring personal stories, helpful advice, cool photos, videos, and more from numerous parents and families who have or are expecting twins. Coupled with well researched informational articles, you are sure to come away with greater insight into the unique world of raising twins! CONNECT - Join us on facebook and connect with other parents of twins and get the latest news and events! Or sign up for our Free Newsletter to stay connected to our growing community and learn about interesting topics all about twins. LEARN - Learn about the many aspects of twins as we cover topics like identical vs. fraternal, ideas for twin baby names, how to go about breastfeeding twins, coping with preemies, getting prepared, that fun first year, informative gear guides and so much more! SHARE - There are lot's of ways to share here! Have a personal twin story, advice, opinion, experience, ultrasound image, cool twin belly picture, or other photo to pass on to our visitors? Don't be shy - you'll find several opportunities throughout the site!